We’re mmmmotoring through the letters now.. see what I did there? Here are some fun and easy ways to help your child to learn this letter. It is one of a series of posts about teaching various letters, so do have a look at the others for inspiration for more than just the letter m. Let’s get started. 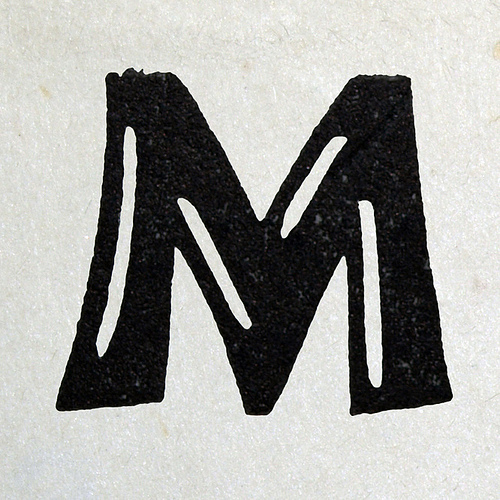 Spend time on the internet finding images of things that begin with the letter m. Select a few and print them out. Cut and paste them into a workbook or on a sheet. Label them with their names. Take a photo of your child’s mouth wide open. Print the photo and label it My Mouth. You can then talk about mouth munching, moaning, making noises. You could even use it as a starting point for learning about oral hygiene and the names of parts of the mouth and teeth. M is for monster. Make Monsters using junk boxes and bottle lids etc from your recycling bin and let them stick/tape items together to make their monster. Paint it afterwards if you like. Make blow paint monsters. Superb fun! Drink Monster’s Slime with a meal made of any of these; mash, marshmallows, mango, mince, mackerel, mandarins, maple syrup, melons, mozzarella, mushrooms, macaroni cheese, m&m’s, marmite, marmalade, meringue, muffins, mutton, and mars bars. When you’ve finished eating, rub your tummy and say mmmmmmmmmmmmm! Make yummy homemade milkshakes together. M is for moon, mountain, man. Make a picture of a man on the mountain on the moon. M is for music. Get out your musical instruments and make some music together. Listen to different styles of music (Cd’s) and have your child move to the music. Make your own maraca. Use those hollow plastic Easter eggs that can be filled and put back together. Fill them with different items to make different sounds. (Rice, beans, stones) place the egg between 2 plastic spoons and wind some masking tape around the spoon head and handles to secure everything. Your child can decorate the maraca with permanent markers to give it some colour. Play memory and matching games. If you can , use images of things beginning with m on the cards. I found this great free printable! M is for mermaid. Cut out the upper body of a girl in a swimsuit from a magazine or print one off the computer. ( if you have a picture of your daughter in a swimsuit, you can use that and personalise the activity) Stick it on to blue paper. Hand draw the tail shape and then do the handwriting continuous mmmmm (all joined up). Give your child glitter glue to follow the bumps along each row. Leave to dry over night. You can add fish, shells, sand etc to the picture once the mermaid’s tail is dry. M is for magnet: Collect a variety of magnets. Go around testing what furniture etc in your home is attracted to magnets. You can also buy magnet kits at most craft shops and make your own. Celebrate Mom/Mums. Ask your child to paint or draw a picture of mommy/mummy. You may get a great one for a frame from this activity. M is for Mummy (the ones found in Egypt). Get a roll of toilet paper-cheap kind. Allow your child to wrap you as a mummy. Then you wrap him. Great fun! M is for measuring. Get a variety of tape measures and go around finding things that measure 1cm, 2 cm, 3 cm etc. Write them in your book. Measure your height, weight. measure the length of your arm, leg, foot etc. Label an enlarged photograph of yourself. M is for Me! have them draw themselves and stick or draw pictures of their favourite foods, sports, colours etc around their picture. 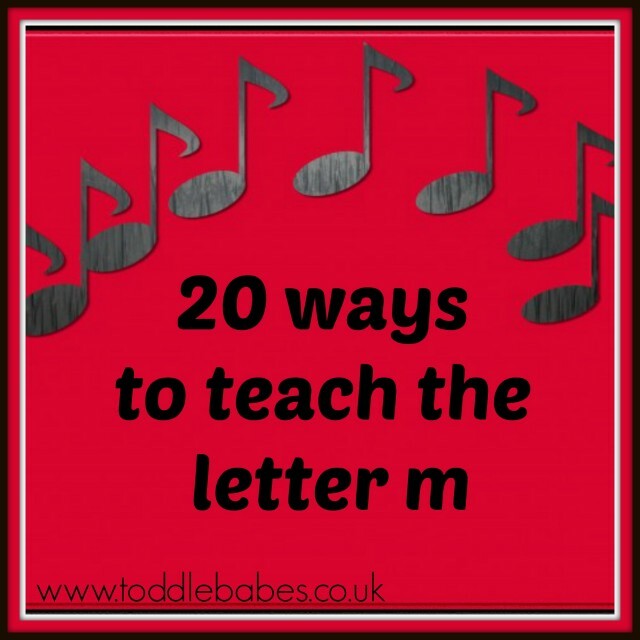 That’s a lot of different things to try with your little one for the letter m. I do hope you enjoy trying some of these out and would love to hear from you if you do! Take care..coming soon, we’ll look at how to teach the letter c.